A pick me up before school and pre school pick up! 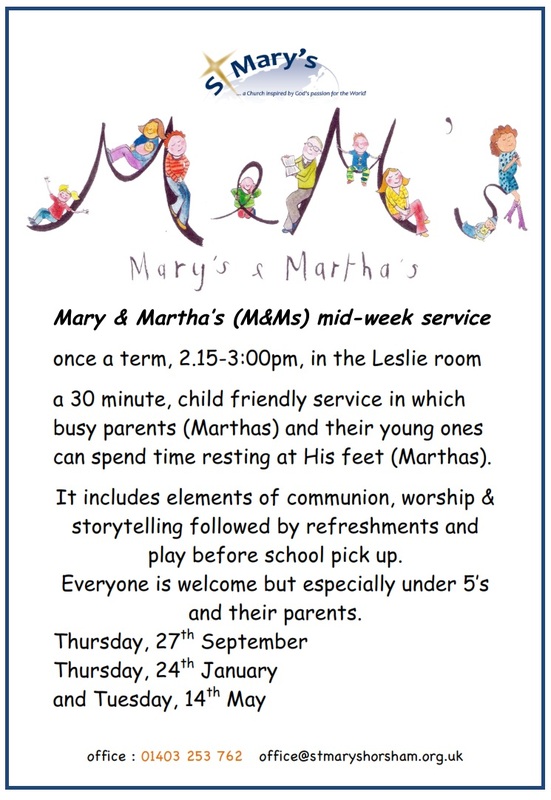 M&Ms is a short time of child friendly worship followed by refreshments and play in the Leslie Room, St Mary’s Church, held at 2.15pm on occasional weekdays during term time. M&Ms will be held in the Leslie room from 2.15-3pm on the dates advertised in our what’s on page. Mary’s and Martha’s is an informal service for all busy parents and toddlers – and is regularly joined by classes from both St. Mary’s Pre-School and the Reception Class at St. Mary’s Primary School. It is also a time for Mums and Dads, who like Martha are constantly busy meeting the demands of family life, to sit and to rest for a few moments at Jesus’ feet as Mary did (Luke 10:38-42). 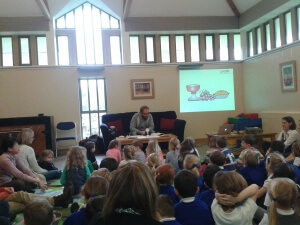 The short act of worship is informal and interactive, designed to appeal to both little ones and grown ups. This is followed by a time of fellowship and play when refreshments are served. We look forward to welcoming you to Mary’s and Martha’s! Are you interested in M & M’s?